Miami, August 2017. 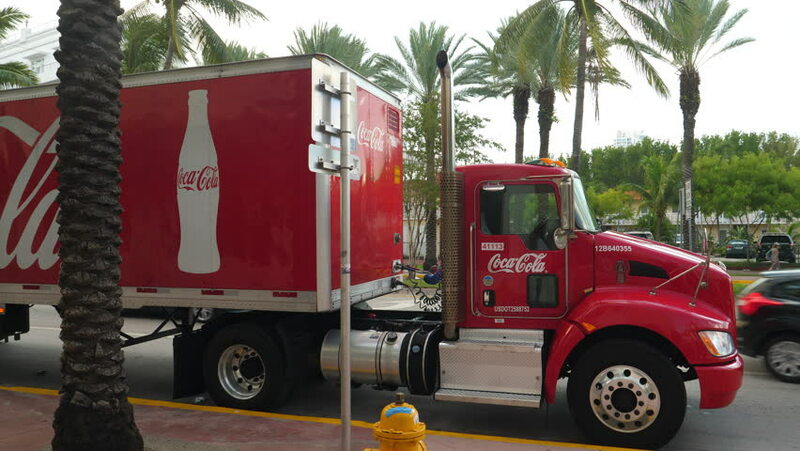 Coca Cola truck parked in Miami, USA. hd00:16Video close up of a fire truck with the words Fire Rescue parked in front of a house fire. hd00:12MIAMI, FL - June 2: Double decker Tour Bus at Downtown Miami 2, 2012 in Miami, FL. The Miami Sightseeing Hop On-Hop Off Bus Tour offers tourists a new and exciting way to see Miami in motion. hd00:16San Juan, Puerto Rico - May 25, 2014: Firemen rescue truck and rescue equipment public exhibit.